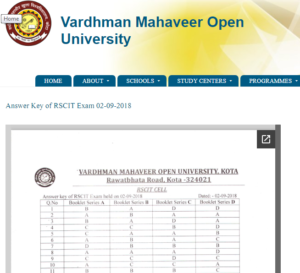 RSCIT Result 2 September 2018: VMOU To Declare Outcomes Soon – RSCIT Result 2nd September 2018 will soon be released online on an official website https://rkcl.vmou.ac.in/. But still, it has not been declared. Moreover, the next exam of Rajasthan State Certificate of Information Technology is expected to be held in October – November months of this year. Prior to 2nd September 2018 test, RSCIT examination was held online on 8th July 2018. 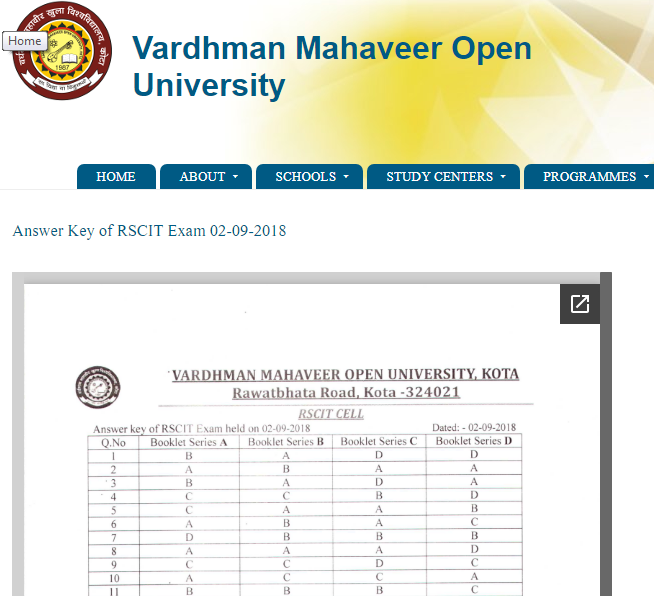 For which official answer key and Results have already been announced by Board of Controller of Examinations, Vardhamaan Mahaveer Open University. No doubt, according to Rajasthan Knowledge Corporation Limited, there are sixteen major chapters from which RSCIT question paper is set. Following this, important topics to prepare from Getting More from your Computer section are – saving MS office document into PDF format, Image editing using inbuilt software, transfer of data between PC and mobile, screen projection using LDC projector/ screen, saving data to from pen drive or USB. The exact date of declaration of RSCIT Result 2 September 2018 is not yet unveiled by VMOU or RKCL. Besides, there is also about printing a file using your computer and CD DVD writing and burning. While from Managing your computer section, it is super important to have good knowledge of Locking a file/ folder with a password, hiding a file/ folder, viewing hidden files, configuring Microsoft outlook with your E-Mail, installation of a network printer, installing and uninstalling a programme, setting up a restore point and creating a user login for windows. Candidates should stay in touch with RKCL and VMOU official website to learn more about RSCIT Result 2 September 2018.